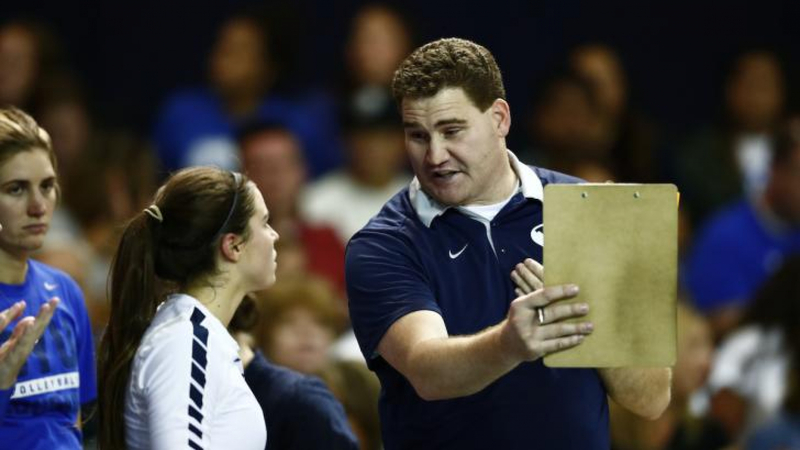 BYU women’s volleyball head coach Heather Olmstead has promoted David Hyte to associate head coach. Hyte fills several key roles for the Cougars, including coordinating the defense, leading the training of the middle blockers, preparing and delivering the scouting report to the team, and serving as BYU’s recruiting coordinator. The team has an overall 117-16 record in Hyte’s 4 seasons with the program, including 65-7 in the West Coast Conference. The Cougars have won 4-straight WCC titles and have been to the Sweet 16 in 6 straight seasons. Before BYU, Hyte spent 2 seasons as an assistant at the University of Houston and 4 years as an assistant at Idaho State. Hyte played for 2 years on the club team at Utah Valley University, where he won a club national championship in 2001, before transferring to BYU. At BYU, he spent 2 seasons playing middle blocker and was a member of the team’s NCAA runner-up season in 2003 and NCAA Championship in 2004. BYU’s last associate head coach in women’s volleyball was Heather Olmstead. She spent the 2014 season as associate head coach under her brother Sean, currently the school’s men’s head coach, before taking over as women’s head coach in 2015. Olmstead’s one season as associate head coach coincided with Hyte’s first year with the team.